Returning for its fourth edition, the non-profit and 100% volunteer-run multi arts festival will this year take place in the old Leith Theatre; with 10 days and nights of music, theatre, visual art, film and spoken word bringing the stunning venue back to life. Left derelict and decaying for 28 years, Hidden Door will provide the initial spark to get this art deco gem back up and running as a major Edinburgh arts venue and transform its empty spaces with the help of some of the best creative talent from Scotland and beyond. My contribution to the festival will take the form of various interactive installations of models, paintings and photography, dotted around various nooks and crannies in the incredible, old Leith Theatre building. 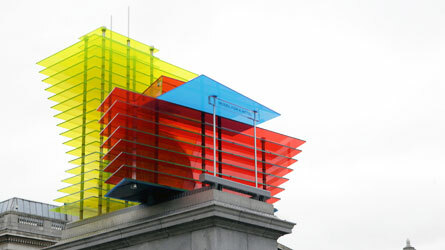 My main installation piece can be found in a room on the roof of the building, with access through the rear of the auditorium – where the bars will be! The festival will be open from Friday 26th May to Sunday 4th June will be free to explore every day until 6pm, with tickets now on sale for the evening events, including live music from the likes of Anna Meredith and Idlewild! A couple of my works will be in Newave Gallery‘s latest show, URBEX opening this Friday 22nd April! URBEX is a group exhibition of works with a focus on architecture and the urban environment featuring myself alongside James Gow, Stuart Noble, Mairi Timoney and Martin Nelson. The show is part of Aberdeen’s Look Again Festival who have just announced the rest of their programme with some other fantastic projects to look forward to such as Turner Prize winners Assemble’s installation The Brutalist Playground at Peacock Visual Arts, Doug Fishbone fresh from the Venice Biennale with his Boomin’ Bus Tour, and Visual Artist Unit‘s latest Pillow Talk, this time focussing on artists’ working spaces featuring Kate Downie, Michael Agnew, Sara Gallie and Alexander Champion! Plenty to look forward to it and great to see it all happening at my old stomping ground Aberdeen! I’ve been a bit quiet with the blog lately… Been super busy with the prep work for Projection with only just under 2 weeks to go! The Robert Gordon University have very kindly approached me to do a press release on their website for the exhibition, click here to read it! 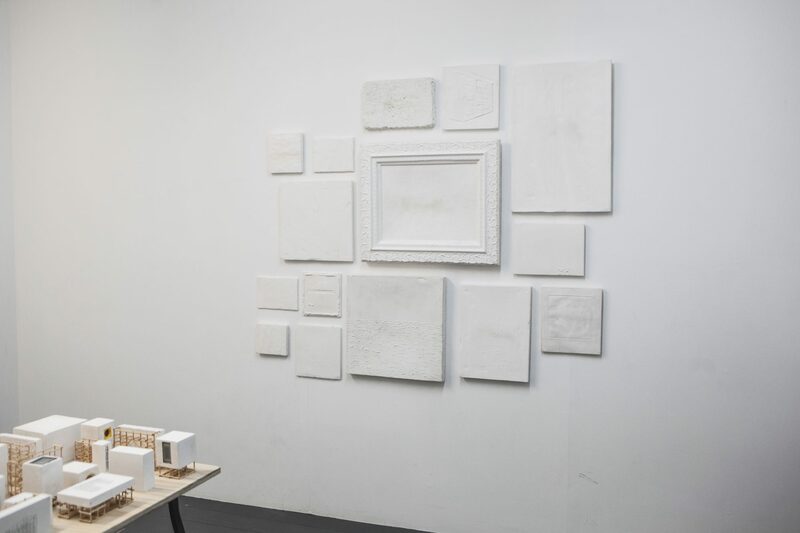 When I first heard about The Plinth and their invitation for artists to propose new site specific works for a standard size plinth based in the living room of a flat in Glasgow, it brought to mind the vast array of artists’ works created for The Fourth Plinth commission in London. 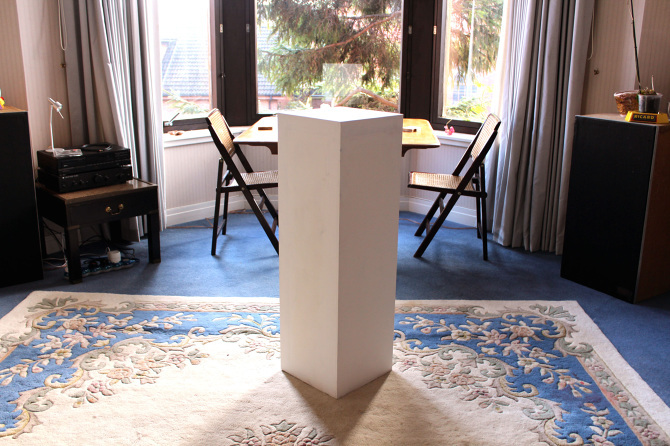 The Fourth Plinth is somewhere I aspire to have one of my works displayed one day, however, the opportunity to design a piece for a severely scaled down plinth was too good to pass, and indeed probably more fitting for my work anyway in terms of the scale I work in. It was lovely then to hear that I have been accepted to exhibit a new site specific piece for The Plinth in May. I’m working away on a few ideas just now but the piece will be installed for a week long exhibition from 18th – 25th May so watch this space! Big thanks to Paul Corbett for the wonderful flier and poster design range for my upcoming solo exhibition at Interview Room 11 in April!